In a country blessed with great summer weather, fertile soil and pristine views, an outdoor lounge is a great idea for your residential property. Bringing the entertaining area outdoors allows you and your guests to take advantage of the fresh air and summer sun while enjoying the comforts and features of a modern lounge. Interior design ideas are generally applicable to your new outdoor lounge as long as you take into account a few key points. We’ve put together a guide, so you can learn how to bring your eye for style into the outdoors and create the ultimate entertaining space for summer occasions. As with any lounge, comfy, attractive seating is the first and most crucial part of the design. Because you’re outside, you have a lot of space to work with - so get comfortable with large couches and sofas that are easy to stretch out on. If your outdoor lounge is going to go under a cover, you can get away with indoor seating that isn’t waterproof. There are also great fabrics available that are waterproof, yet comfortable, including vinyl, cotton canvas and polyesters - and with the subtropical cyclones common in New Zealand, it’s a good investment. A good seating arrangement encourages conversation, so place pieces at right angles - it avoids awkward face-to-face confrontation and gently angles people toward one another as they enjoy your outdoor party. The beautiful afternoon sun is the main reason you wanted an outdoor lounge in the first place, but adding light and heat sources allows you to keep the party going when it gets a bit darker or colder. Fire pits and built-in fireplaces are good, especially if you have a lot of firewood around, but safety concerns and fire restrictions in many parts of the country could lead you to get a column heater instead. For lighting, try using festoon lights or a mix of string lighting, lanterns and hidden strips of LEDs underneath steps and furniture. Spreading out your point sources gives a more relaxed and stylish feel compared to having one big spotlight. 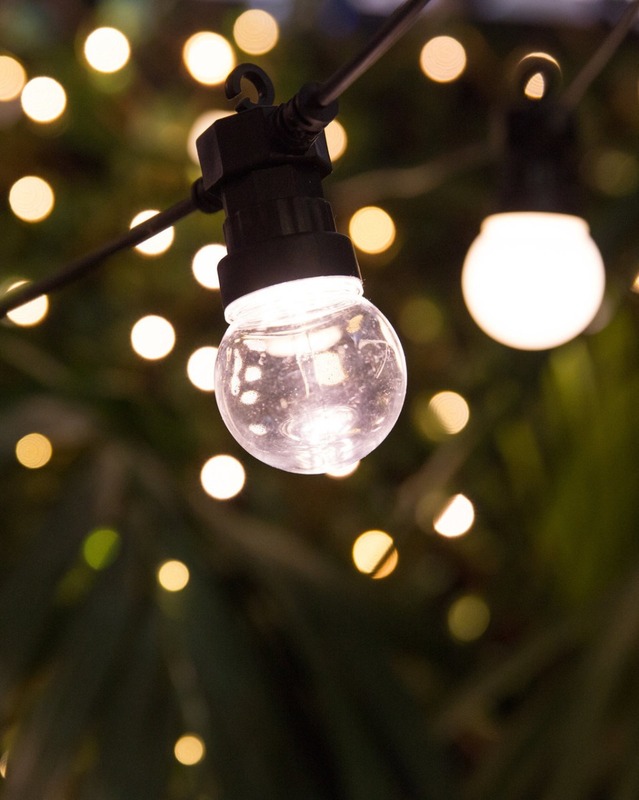 Shop our range our outdoor festoon lights here. Outdoor furniture has a tendency to look a little utilitarian, since they often come in kit sets that all look the same. But we do have some fabulous fabrics ranges in-store and online to add some colour and pattern to your outdoors. A few well-placed accent items can turn a drab get up into a sleek and stylish one. Pillows, rugs and throws are inexpensive and let your personal taste shine through. Plus, they’re easy to swap in and out to suit changing trends, seasons or your mood. We can also re-upholster your exisiting outdoor furniture, and make cushions as well as our range of ready made outdoor cushions. The most key part about designing an outdoor lounge is to take advantage of the fact that you are outdoors - if you get views on your property, orient the seating towards them. Alternatively, you can orient your lounge to look at your garden. A variety of plants can be used to match different furniture types. Shrubs like rhododendrons and camellias are cool and casual, and suit wicker furniture, while salvias provide intense bursts of colour that can accentuate the muted colours and sleek forms of designer furniture. 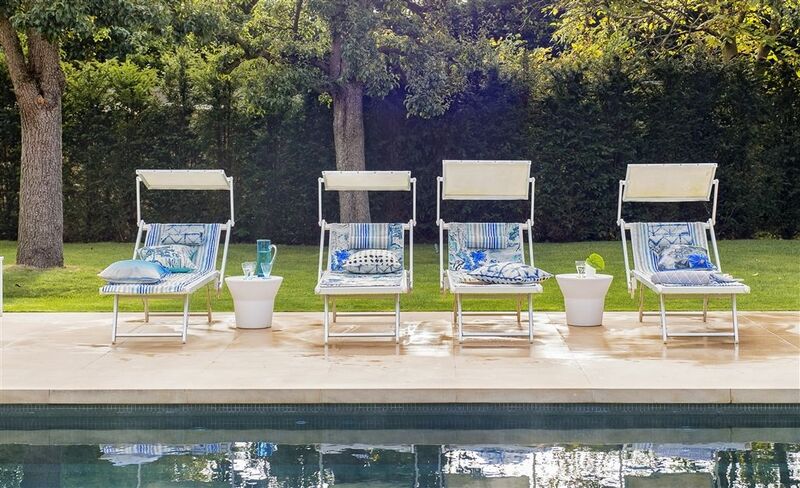 Is your outdoor space ready to entertain? With the weather heating up and summer coming into full swing, time is running out to get your outdoor lounge sorted for summer festivities. For your bit of interior design in the outdoors, talk to the specialists in interior design in Auckland about how we can help you turn your space into more than just a patio or a deck.